Every fireman needs a damsel to save...even scale ones. This is a resin firefighter for 1/24 and 1/25 scale model fire trucks. He is suitable for any fire truck model or G scale railroad layout in a comperable scale. 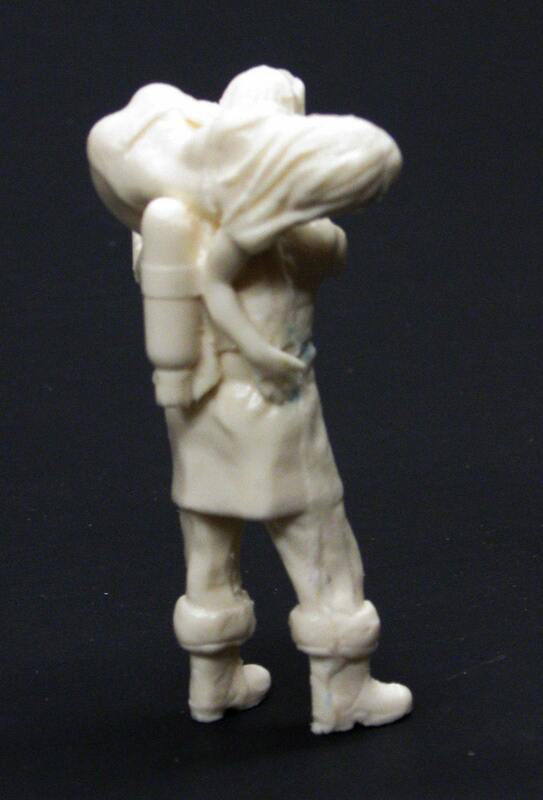 This figure beautifully sculpted figure depicts a firefighter using the fireman's carry to rescue a distressed female. He is sculpted in a bunker coat, turnout boots, Cairns helmet, and SCBA tank with dangling mask. She is sculpted in lingerie. 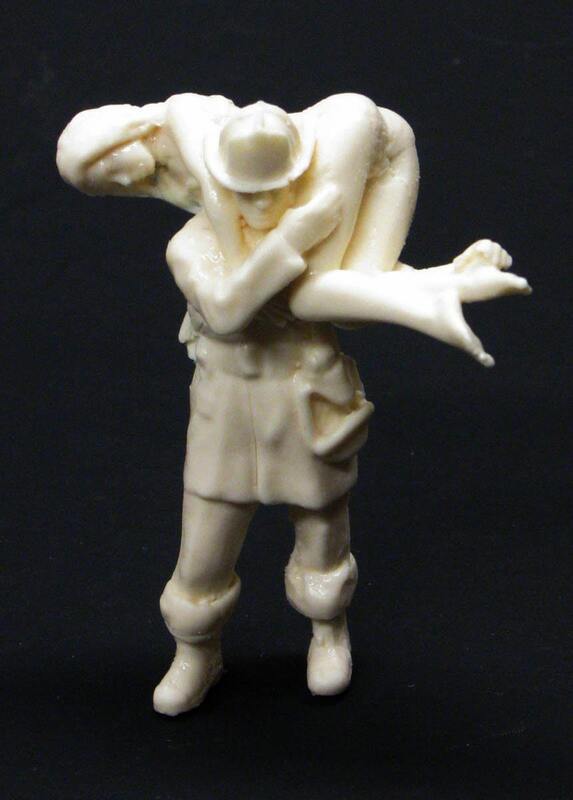 The firefighter figure stands 3" tall to the top of his helmet. They have minor air bubbles and flash and requires minimal clean up. They can be painted with enamel, acrylic, or laquer paints.